The spinning of my Texel fleece is complete. The closest comparable commercial yarn I’ve been able to find (in terms of weight and yardage) is Rowan Felted Tweed. That looks about right, based on a visual comparison. The next thing I need to do is find a suitable pattern to knit. More on this in the coming days. Congrats! Are you thinking of dyeing it, or just knitting it au naturel? I thought about Such a Winter’s Day. I need to do some swatching to see what works with this yarn. I’m new to long-draw so I need a pattern that will be forgiving of a bit of unevenness. Wow that is an impressive spinning haul. Beautiful yarn. Love the yarn, recommend dying it teal. Good call, that’s a cute sweater. 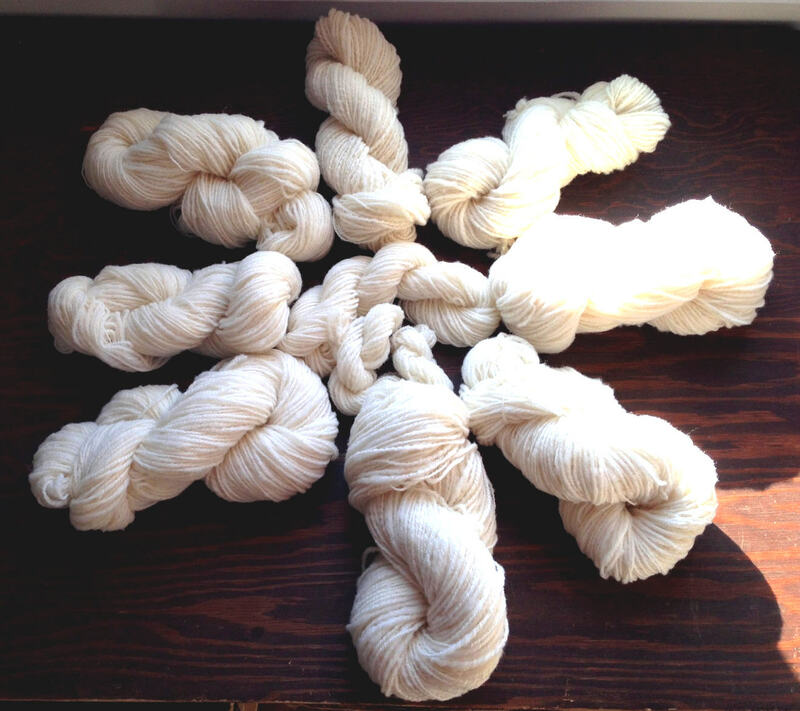 Gorgeous hand spun, simply gorgeous. Congrats on all your hard work! Gorgeous! Something that light-colored would look amazing in a textured knit. I’m partial to cables myself.